Carlo Ancelotti is doing his best to put pressure on Manchester United in the title race with only four games remaining. United have to play Schalke in the Champions League this week, then Arsenal at the Emirates on Sunday followed by Schalke again and then Chelsea at Old Trafford. 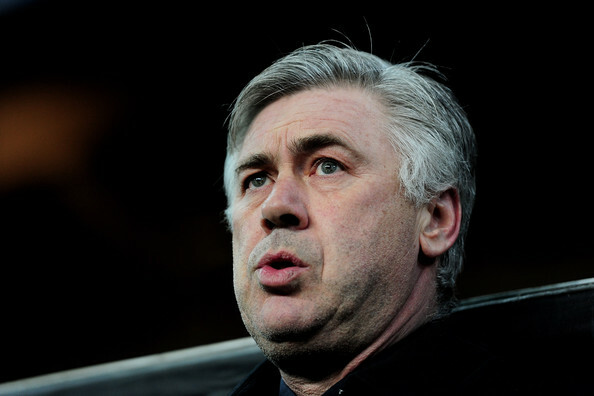 Ancelotti believes and in my opinion quite rightly so, the title will be decide in the next 14 days. “If we can beat Tottenham, we can put more pressure on Manchester United in the game against Arsenal. We have two important games. The title will be decided in 14 days. It will be difficult to win all four, we have to play very tough games, We know that if we don’t win one game, we can lose our ambition and so there is pressure." I think we have to be honest here and say it's a long shot based on the way Arsenal have been playing. A few weeks ago I was confident that Arsenal could beat United and get a result and bearing in mind we have switched back to 4-3-3, we would beat United too. If you think about it, Fergie has a dilemma. He obviously wants to reach the Champions League final so will look to put his strongest side out in both games against them, but also will know he has to put out an equally strong side against the both of us. Saying that, all he needs is two draws against us so could park the bus in both games. One thing is for sure as Carlo says, we need to win all four games but it will be difficult. Let's just hope someone out there can do us a favour too!